Thread: Movember 2017 and Team DDO! Hello everyone, and welcome to Movember 2017! 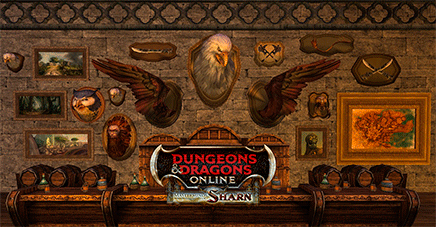 This is now the fifth year that I've raised money publicly for men's health through the Movember Foundation in the Dungeons & Dragons Online community. Similar to previous years, I will be offering some nominal incentives to DDO peeps who wish to donate at least a few bucks. Every year I am encouraged to continue this effort through private and public messages from you. I hear about how these cancers have impacted the lives of loved ones, family members, even yourself. I've found the Movember Foundation to be quite transparent in detailing how this money is spent, and have been proud to see how us D&D folks can get our name out there on the national stage. I hope you are willing to donate this year, but I'm also hoping to see some of YOU join Team DDO! Team DDO is open to everyone! 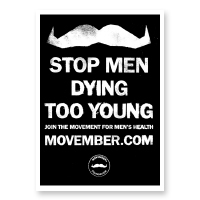 If you are taking part in Movember, consider joining the team. We'd love to have you join! The basic gimmick of Movember is us participatin' dudes shave our faces on November 1st, then grow only a mustache for the month, to call awareness to men's health issues and raise money for the campaign. Ladies and folks who for whatever reason don't grow facial hair can participate as well, either by just raising money, or by taking part in the Move program. Let's face it, the shaven Cordovan ain't winning any beauty prizes, but hey - it's all good. It's a mere month, and well worth it. If you donate at least $2, you will be entered into the various drawings that are unlocked by Team DDO reaching certain milestones. If you donate to me or another Team DDO member, it counts! $500 - Ten 500 DDO Point codes will be randomly distributed to people who donate at least $2 to the fundraising effort through a random number generated drawing. $1000 - Ten picks from the Community Loot List will be randomly sent to anyone who donates at least $2. $1500 - Ten more 500 DDO Point codes will be randomly distributed to folks who donate $2+. $2000 - Ten more picks from the Community Loot List for $2+ donors. $10 - Forum Title of your choice, within the community guidelines. PM me with your desired choice. If you already have a custom title, I can add another! $20 - Custom Forum Avatar - Let me know what you want your avatar to be, and I'll do my best to make it happen. $30 - Personal Picks from the Community Loot List, sent to two characters of yours on whatever server(s) you want. $100 - I will be honored to host an event on your guild's airship, or run with you and friends in-game. While there are certain rules I cannot break (things that hurt the game world, giving out named loot, leveling people up, etc. - mostly common sense stuff), I will be able to drop some items from the Community Loot List, spawn a few things, and do a few giveaways for the guild. I will of course be open to any and all Q&A as well. All incentives are cumulative, so if you donate $30, you also get the benefits of the $20+$10 tiers. quick question about the 30$ donation, it says picks (plural) for 2 of your toons, are we talking 2 picks total, 1 for each toon, or several picks for 2 toons, and if so how many. I come from the west. Through countries, peoples, and cities - to this place: STORMREACH. My duty: Guardian. To mend and defend. To defend my newfound friends, their hopes, and dreams. To defend them from their enemies. The intention is two selections from the Community Loot list, but I'm not going to be super-picky. Been at this in one form or another for a few years too, good luck to fellow participants ..... lets raise money and grow some freaky staches! DDOwiki is glad to have some history on this event! Check out http://ddowiki.com/page/Movember if you want to see past years! I'm also participating this year and would love to see a "Go Go Team-DDO!" catch-phrase take off! Good luck to all the participants! Now with real 100% closing. Im onboard. Joined the team, donated, shaving in the morning. Thanks for helping raise awareness. Glad to take part! Under "A" on the list is a link titled, "User:Aldyron/Diagnostics/Items consistency/Pages using Template Companion Certificate". This link goes to a list of pets. Are these extra pets on the menu for this event? No, I'm not sure what that's about, looks like a bad edit or something. Happy to help again this year. Go Jerry and Team DDO! How soon after a donation would we see said rewards? It takes a while, as I get a lot of donations and have to sort through it all. If timing is a particular issue PM me and we can discuss. Nice to see you doing this again, Cordovan. I will have to get back on the donation bandwagon this year. sry m8, guess brain cancer isn't manly enough to be included... oh well, I'm broke anyway thanks to the financial horrors and misplaced priorities of the U.S. profit-care system(s). The U.S. in particular has the much more severe issue of rejecting facts because reality doesn't provide comfort. Pardon my statements, but until laws recognize life>profit... & QoL>longevity anyway (trust me on that point). It's a maintenance category that was created/used by another admin last year for some work they were doing. I've removed the listing. Thank you so much, everyone, for your donations so far! It's great to see the DDO community's support. At this point we're at $680 toward my personal goal of $2,000, and $730 toward the overall team's goal of $3,000. Reminder that donating even just a couple of dollars is enough to qualify for the group incentives listed in the first post in this thread. In for 30. 777/2000 now. Was bummed to see Yahoo Pay not doing a donations match this year.